Whether your backyard is a small plot of land, a terrace in a penthouse or a large space with plenty of trees and added features, you want it to improve the beauty and character of your villa. Whatever the size of your yard, you can create an outdoor atmosphere that echoes your life and meets your landscaping budget. Take a look at top landscape design trends of 2017 that may be perfect for your Dubai home. Low-maintenance gardens, drought-tolerant plants and minimal turfgrass have become the standard in sustainable landscape design. Homeowners now embrace sustainable design as a major part of their landscape plan. Not only is this style of landscape design economical, but such designs are also environmentally conscious. Eco-friendly gardens attract friendly bugs, such as ladybugs and butterflies, all of which help your garden thrive. Blended backyard gardens that incorporate edibles plants as ornamental decorative accents perform double duty, giving gardeners a bountiful harvest of fruit, vegetables and herbs and a sustainable, colorful alternative to turfgrass. Edible gardens can be planted directly in the soil or a raised garden bed. You can even get creative and plant a garden in your old bathtub, or other repurposed piece to add a charming impact to your backyard. A location that’s protected from the wind. An area that receives plenty of sun and light. An area with rich, fertile soil and not dry clay or sandy soil. An area with sufficient water and drainage. Waterfalls, ponds, and custom water features add a calming and soothing element to your backyard. Outdoor waterfalls provide an alluring outdoor accent that radiates the tranquil sound of trickling water as you relax in your backyard sanctuary. Waterfalls can be constructed in all shapes and sizes, so you can place them almost anywhere you like. Existing water features such as pools and ponds can be enhanced with a decorative waterfall feature. 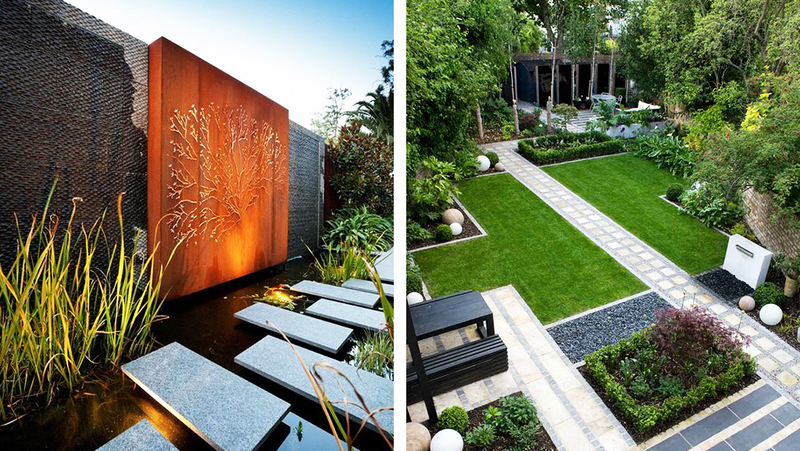 Looking for more ideas on How to Enhance Your Landscape with Water Features? There’s no better way to enjoy a clear, starry night than to build a backyard fire and bask in its glorious warmth with friends and family. With plenty of options to choose from, ranging from traditional fire pits to firewalls, always start by picking the perfect placement for your fire feature in a safe outdoor area. When properly installed, firewalls add a safe ambiance to a cool evening, providing the perfect place to relax and stare at the wonders of a crackling burning fire. Outdoor living areas are all the rage in 2017! They provide all of the comforts of home with the added benefit of fresh air and the great outdoors. 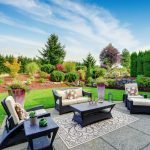 Thanks to new durable outdoor fabrics made from acrylic fibers, which are fade-resistant and waterproof, homeowners can create permanent living spaces outdoors with luxurious fabrics and furniture. You can create a separate space on a patio or build a pergola to create a truly unique outdoor entertaining area. In addition to creating a separate space, pergolas also add an element of shade to your outdoor living area. Adding pillows, rugs and other decorative decor work to create a relaxing ambiance to entertain outdoors with of all the comforts of indoor living. 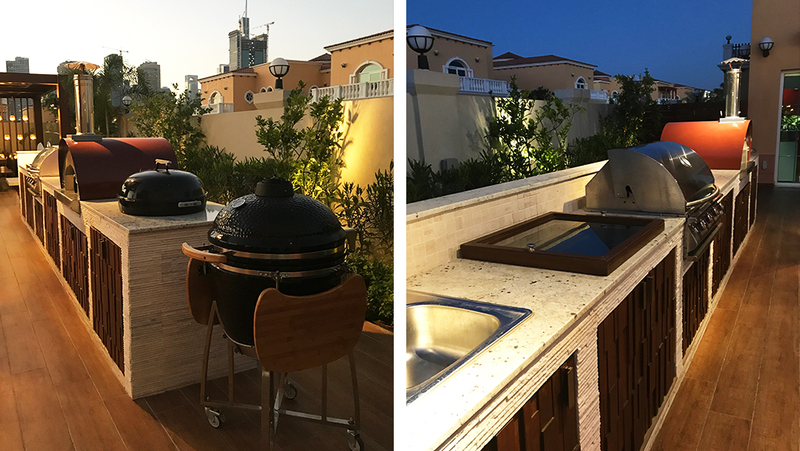 If you have enough space, you should consider adding an outdoor kitchen to create a fully functional outdoor space that will make for years of memories to come. In keeping with the age-old design statement “less is more,” 2017 is leaning towards simple styling and structure. Simplistic, rich, greenery will create a pleasant, relaxing outdoor atmosphere in your yard. Consider landscaping with trees, shrubs, flowers and plants in a variety of sizes, shapes, textures and colors. This allows you to create a yard with simple, yet stunning, visual appeal that you’re sure to enjoy! When it comes to designing your backyard landscape, be sure to create a space that meets your needs. When in doubt, reach out to the design experts at Milestone. We are always happy to answer any of your questions. What will you be adding to your backyard this year?